The next “mention” of Hermann Detering was subtle. It was hidden as a link in the last sentence — But that leads us to a new set of questions about dates and identities that will have to be addressed another time — of the post When did Peter first see the resurrected Jesus? A point I made in the main post was supplemented in the comments with further detail. Was Jesus “John the Baptist”? Is Paul the Beloved Disciple? April 2018, continuing after a tense wait . . . I corresponded from time to time with him. He once sent me a book and I returned the favour with a token gift. He was always a part of my thinking on any biblical or Christian origin question. And of course through our personal correspondence I often wondered and thought about what he was like, and, from all I could tell, I liked him a lot. I’ll miss him. Posted on 2019-02-01 09:13:31 GMT+0000 by Neil Godfrey. This entry was posted in Biblical Studies and tagged Hermann Detering. Bookmark the permalink. When I hit some links I get prompted to sign in with a username and password. I cannot know, but I suspect a glitch. Please feel free to delete this message! I think I understand. I discovered a way to link to all the posts from “within the admin dashboard”. I was being too clever. I shall now return and redo the links. I hope I have fixed everything now. But do notify me again if anything is not right. Links I tried work now. Thank you. Regarding: Was Jesus John the Baptist, discussion 2012. All discussion is very interesting to me. I keep looking for New Testament passages that suggest same. I came across one a few months ago after talking to a Mandaean who said that John the Baptist was at the bottom of the Jordan. When Matthew was written wouldn’t it have been a fresh memory? Matthew 18:6 (ASV) But whosoever shall cause one of these little ones that believe on me to stumble, it is profitable for him that a great millstone should be hanged about his neck, and [that] he should be sunk in the depth of the sea. How these New Testament writers must have hated John. At the bottom of a great lie is a key that will unravel the whole mystery. I’ve never quite known to make of Detering’s work. That probably goes for many people. I seldom agree with his conclusions, but he does point many interesting facts out along the way. • Detering also argued some new points per the non-Christian sources presented as attesting the existence of Jesus. See: Hermann Detering ap. 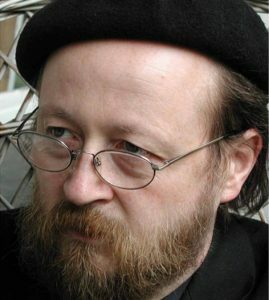 Martin Bauer (30 September 2011). “Neue Zweifel an der historischen Existenz Jesu”. Humanistischer Pressedienst (hpd) (in German). See: Rezension von Karl-Wilhelm Niebuhr, ThLz 139 (214) 4 per “Falsche Zeugen” Radikalkritik (in German). Detering, Hermann (3 May 2015) [now translated by Google Translate]. “Falsche Zeugen in der ThLZ”. Radikalkritik (in German). 1) Tac Ann 15, 44 is based on a section from the Chronicorum Libri of Sulpicius Severus 2.2. 2) The whole tenth book of the letters of Pliny the Younger is in truth a fake of the Renaissance; It is a work of the theologian, antiquarian and architect Jucundus Veronensis bzw. Fra Giocondo. 3) The section on Nero 16, 2 in De Vita Caesarum of Suetonius was revised in Christian terms (pp. 137-141). What a loss of such a great scholar in the field of Biblical studies. He was a great advocate of higher biblical criticism, and even though some of his contributions were difficult to understand or agree with, he kept a lot of people honest about the “assured results” of biblical criticism. o H. Detering and his family and friends. My deep sympathies re someone who made a difference in many lives. As he had written a book ‘proving’ that St Augustine’s ‘Confessions’ was a medieval forgery, I had assumed HD was just another Jean Hardouin. Not so. The English translation of his ‘The Fabricated Paul’ is available on Kindle for a pittance, and is well worth your time, not least because it is fluent and engaging. The second, ‘ constructive’ part is a mixture of the suggestive and the haphazard, but the first, ‘destructive’ section, using the same techniques of internal criticism on Paul’s seven ‘authentic’ letters as have exposed the six forgeries, is a model of rigorous argument. Once any early dating for 1Clement and Ignatius is (rightly) abandoned, there is no external attestation for the collection before 140, the self-witness is questionable, and everyone has a problem to think through; (including mythicists who lean on an ‘early’ Paul for their evidence). There are plenty of incidental delights. HD notes that the fashion for citation-theory, finding all manner of creeds and liturgica quoted by Paul, is evidence either for a late date for the letters, or massive interpolation in earlier documents. It is good to be reminded that Marcion’s ‘discovery’ of Galatians is not a modern term, but (‘nactus’) Tertullian’s : given this topos in ancient works (Josiah and the temple scroll, Dictys Cretensis, Apocalypse of Paul, etc), alarm bells should be ringing! HD notes that Paul’s autobiography in the letters, while not congruent with Acts, is equally fantastical : I’ve half a mind to glance at Chion of Heraclea, philosophising in the foreground, narrative autobiography in the background, all in an epistolary novel. I am not always sure about conclusions but HD should be read, I think, by everyone engaged with the New Testament simply because so often he pulls us up to re-think things or think for the first time about things we might too easily let slide past us. The Bar Kokhba War and the date of G.Mk. Apparently I’ve re-invented the wheel 🙂 I’ve said Detering was “barking” before now. Well, I’m truly hoist by my own petard! I’m still of a mind that if you magic away Paul you are left with nothing for leverage and you might as well abandon 150BC-150AD as Schrödinger’s Black Box; but I should probably re-examine the matter with a more open mind. Thanks, Neil: consider me schooled. Didn’t he write something arguing that Augustine’s “Confessions” was composed in the medieval era? Anybody have the book, or know when precisely he had in mind? Looks as if he did: by Anselm, no less. The existence of copies going back to the 6th century didn’t trouble him because paleography is bunk. Poor chap. His replies in the article below make clear that he didn’t understand how we got paleography. Of course, Roger, you know Hermann Detering is a “crank” because of what he wrote in his book even though you have not read his book. You are good at making those sorts of judgments and put-downs, aren’t you. Do you feel it demeaning to lower yourself to actually inform yourself of arguments you don’t agree with and actually engage with them for lesser mortals than yourself? Or do you feel all you have to do is declare your superior status and repeat your own beliefs like a catechism in complete ignorance of the real questions being discussed by those fortunate enough not to be trapped in your unshakable intellectual world that was never bothered by a question or challenge that it could not safely ignore. Roger, I do believe there is a certain etiquette that is appropriate for spaces where a friend is being remembered. A friend, I should add, I often did not agree with, but that at no time took nothing away from my friend’s ability to make me think and learn and examine what I already was so sure I knew. I am tired of your arrogance, ignorance and boorishness. Go away. Please. You really do come across as an embodiment of one of those academics who is utterly snobbish and closed minded to all but his own belief systems and storehouse of proof texts and thoroughly condescending towards anyone you deem to be an “outsider”, not to mention filled with sheer fantasies about what you are so sure they must be writing (you don’t have to read it, do you) and saying (and you don’t have to listen to know that, either, do you). Fortunately I have worked and shared most of my life with academics and I am relieved to say you do not represent all of them. The imitator is Saint Anselm (in England assigned to Canterbury, but actually from Aosta in alpine Italy), a leader of the scholastic movement of eleventh century. He was already known for a long time as Augustinus redivivus. Thanks: just posted comment with link to article with interview. Did anybody ever read his book, I wonder? Hey, Roger. I saw your post. Just so you know, Vridar is not run by a “fraternity.” And we don’t “hope” that Jesus didn’t not exist. Whether he did or didn’t makes absolutely no difference to me. Are you trying to troll us, or do you come by it naturally? For my part, I hope that Jesus existed upon the Earth, because the Gospels’ Jesus is so inferior to even the least significant Buddha. But a religion based upon a heavenly Jesus is harder to challenge. We have seen enough testimony from Roger’s own posts and comments that he evidently believes he has no need to demonstrate any indication that he has ever bothered to read with any serious care any book or blog or comment that he believes must somehow contradict something he believes, and that he feels he is entitled to imagine any nonsense about what others actually think and argue if suspects he won’t like it. I have given him enough rope. He is indeed a troll. Another Joel Watts. I have shown him the door. I have previously pointed Roger to our statement explaining what Vridar is about with a special comment on the topic of the historicity of Jesus. But as his track record here and on his own blog has now consistently demonstrated, he has no need to read either books he “knows” are “nonsense” or “the final answer to X”, or the comments or posts that he criticizes, nor to accept invitations to read anything that has the evidence to disturb what he already “knows” and “believes”.